At Alturas Capital, we take a different approach to working with brokers. Unlike many investment and development firms, we enjoy working with brokers and welcome their participation in our deals. In fact, brokers add immense value to our projects, and we utilize them whenever we can. We generate the majority of our deal flow working in partnership with brokers. We enjoy compensating our broker partners, typically through commissions but also through other avenues. We recognize that when a broker partner earns a commission, it means we are doing projects and finding ways to create value together. We aim for win-win outcomes. This approach is highlighted in a project we acquired in December 2016. 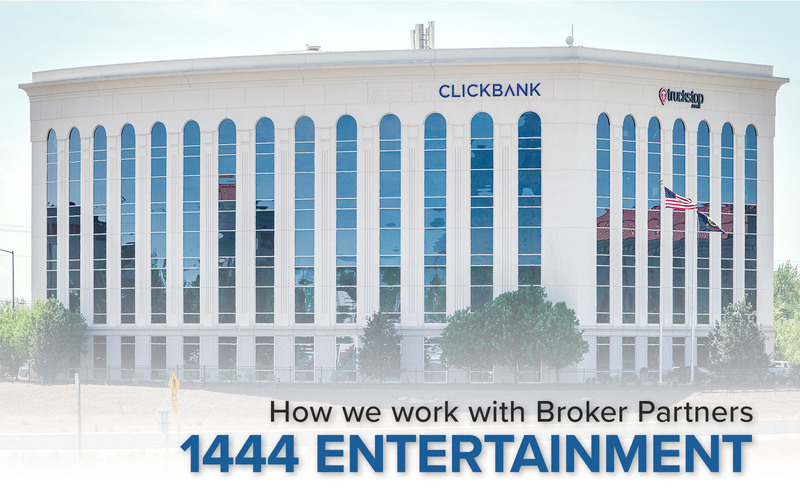 1444 Entertainment, is an 82,100 square foot, Class A office building located in Boise, Idaho, directly off Interstate 84, near the I-84 and I-184 interchange with access and visibility second to none in the market. Built in 2006, the property was still less than 50% occupied nearly 10 years after construction. Within the brokerage community, the building had developed a stigma as a troubled asset. However, the five-story, steel and concrete building has open floor plates that allow for open office spaces, is centrally located in the metro area, and has ample parking and on-site and nearby amenities. One of our local broker-partners brought the property to our attention in the fall of 2016. At that time the building was 67% occupied and struggling to attract tenants.Our broker-partner felt that it was a prominent property in a great location and had a lot of upside potential. He believed that it could be purchased at a good value, with in-place income, and thought that our reputation for being deal-makers and our track record of re-positioning properties could turn the property around. During our due diligence period, we spent a great deal of time consulting with the broker partner and together we confirmed and corroborated our assumptions. Our broker played a pivotal role in this collective effort, and while we handled the heavy lifting, he was an integral and highly valued consultant who was involved at every step. Through our combined resources and contacts, we were able to underwrite the property’s challenges and opportunities and ultimately close the transaction. As a result of his involvement, the broker never had to guess where the deal stood and helped the team uncover and overcome challenges along the way. This collaborative approach creates immense value for us as we have a more vigorous and effective due diligence process by tapping into the deep market knowledge of the brokerage community. We are able to make better decisions together. This approach also benefits the broker as well. They are integrated as a part of the team, solving the problems alongside us. This increases the likelihood that their qualified projects make it to the closing table and they get paid for the value they create. This is a win-win for everyone involved. Now, after nearly two years of ownership, the performance of this asset has exceeded our expectations. We have been successful in executing our turnaround strategy, and the property is fully occupied with quality, satisfied tenants. In keeping with our fundamental value-add strategy, shortly after we took over ownership we started making improvements to the property and the stigma dissipated quickly. We notified the brokerage community of the ownership change and they immediately knew we would take a different approach to leasing and asset management, an approach that is very tenant and broker friendly. This approach makes the broker’s job easier as we work together to make lease deals, not quash them. We work to create win-win relationships with our tenant clients for long-term success. This in turn allows the broker partner to get their lease deals over the finish line and get paid, and it enables our assets to lease-up faster than they would otherwise. The market quickly recognized the asset’s strengths and appreciated our approach to asset management. Leasing activity began to follow and within 6 weeks of acquisition, we had signed leases in hand that took the property to over 90% occupancy. Further, due to our active management, lobby and common area renovations, and the addition of several high-quality tenants, the status of the building has been significantly enhanced. A few key metrics further underscore the improvement that has taken place. At acquisition the property was 67% leased. It is now 100% leased. The annual Net Operating Income has increased from approximately $800,000 to $1,200,000; an increase of 50% in the first year. In some cases there may be other partnership and compensation opportunities in addition to sales and leasing commissions. Compensation that can include regular cash flow, tax advantages, and appreciation. Factors that help our partners grow wealth and diversification over time. While this does not make sense in every circumstance, please reach out to us and we can discuss this aspect of our broker compensation model in additional detail. Finally, as is typical in our approach, if we decide it is time to sell an asset we will utilize the broker partner that helped us acquire and turn-around the assets to sell the asset. We have a loyalty to brokers who add value for us, and in turn, we pay them for their services in all phases of the investment. We would appreciate the opportunity to earn your business and show you the Alturas difference. We mean it when we say that we love working with brokers. If there is a project you would like us to consider and become a partner with us, please reach out.